The conference is based on the assumption that the sixteenth century witnessed continual competition between participative and objectifying forms of experience, which sometimes also resulted in hybrid combinations of the two. Objective forms of experience tend to separate the individual soul from its environment, and to oppose its operations (like perceiving, feeling, thinking) and the distinct objects of these operations. By contrast, a participatory mode of experience prevents such a confrontation between distinct entities by conceptualising the instances of the world (self and other, God and humanity, nature and soul etc) not as individual, discrete and opposed, but rather as ones that are in a mutual, symbiotic relationship. As a consequence, the operations of the soul in the case of participation do not lead to the constitution of objects, but to a realisation of the psychophysical influence or presence of the other in oneself. Fundamental to the participative form of experience are the spiritūs. Assuming the existence of a spiritual substance, whose particular materiality (conceived variously as of a material, subtle or immaterial nature) could operate equally on both body and soul and communicate between them, permitted the conception of an exchange between the instances of the world that was not (or not merely) representational, but also substantial. The spiritūs were conceived in various ways: as the three spirits of Galenic medicine, as the spiritus mundi, as the spiritus phantasticus, as demons or angels, and as the Holy Spirit. Although the Holy Spirit cannot be compared with the other spirits mentioned before, it does play a significant role in the subject. These various conceptions of spirit have one common feature: their role in mediation and participation. They mediate between God and his creation, between matter and the immaterial, body and soul, soul and cosmos, future and past, and so on. And they can advise or influence the perception, phantasy and reason for good or ill. The operating hypothesis of this conference is that in the course of the sixteenth century, the problems of this subject become increasingly evident, in fact even within the participatory mode of perception. On one side there appears particularly the possibility that we can be deceived by spirits and demons, a situation that demands that measures be taken to purge the spirits. On the other hand is the promise that by purging the mental spirits, the senses and mental capacities may be sharpened, leading to a practice of self- enhancement. And finally, in the religious context is the notion of purgation through the Holy Spirit. However, the unsettling notion of the presence of spirits within humans and their environment had to be marginalised and subdued by the Aristotelian worldview and the new scientific theory and practice of the seventeenth century alike. One may think here of the spiritus malignus of Descartes’s Meditations, which may be understood as a demon that influences the imagination, and therefore as liable to philosophical rationalisation. The title of the conference, Purgatio spiritus, may therefore be understood in three ways: as banishment or purification of the spirits, or as purification by the spirit. This polyvalence is deliberate, and signifies two different ways of dealing with spirits. One implies that the participatory model is to be abandoned completely and thus suggests furthermore that a dynamic and weighty conception of spiritus should be abolished, by relegating the spirits entirely to the physical world as mere communicative substances within the body, or by marginalising them as philosophically irrelevant. 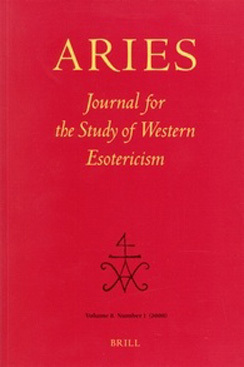 The other way of dealing with the spirits maintains the participatory model, and seeks to purify them through music, pharmaceutical substances, rituals going as far as exorcism; such a way of dealing with the spirits represents nothing less than an attempt to restore the proper participation in God and his intermediaries. The intention of this conference is thus to explore the central role of the spiritūs in the interaction between the two paradigms. The more open a soul is to its environment, the more important are the spiritūs as intermediaries; the more the consciousness closes, the more necessary becomes the banishment or reduction of the spiritūs. 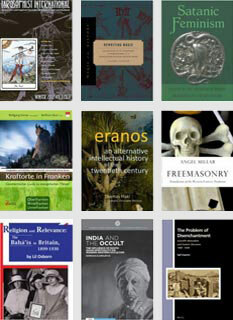 These forms of experience can be traced in the theoretical discourses of early modern times, including natural philosophy, medicine, religious and exorcistical literature as well as in the arts and popular culture: the latter include numerous representations of unclean spirits and their purgation. In addition, some poetics, as well as some music and art theories attribute a purgative power to the arts. To explore this aesthetic relevance of spiritūs will be one objective of the conference. 10.45 Bruce Smith: What makes Shakespeare so inspiring? 17.15 Christopher Lehrich: Spiritus mundi, spiritus musicae?